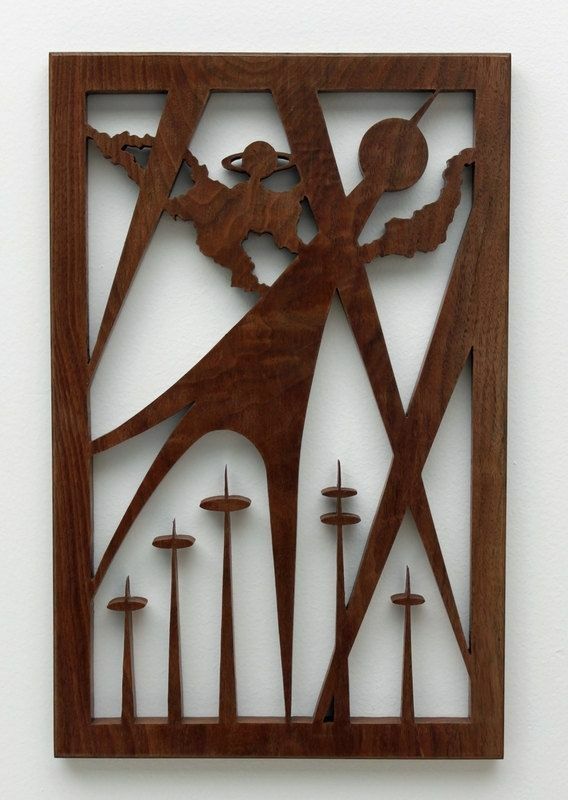 Black Walnut Fretwork "Alien Surveillance"
This mid-century piece is made of black walnut wood. It is a fantastic wall piece to hang on the wall of a modern-themed home. The fretwork measures 14 1/2''x9 1/2'' and is 1/2'' thick. Clear coat was applied on the wood for lasting protection and an excellent finish. A bracket is attached on the back of the piece for easy mounting.